It's rare that I post dessert recipes but don't be fooled, I love my desserts. This custard tart has been around for years and has made it's way through all the seasons. However, this pear version is my favorite. Using slices of bosc pears makes for a beautiful presentation and the custard filling is the perfect partner. Since September is farm to fork month in Sacramento, I'm partnering with California pear to chat a little about organic Cal pears. If you were to chat with the local pear farmers, you would learn that most of the farms have been in their families for over 100 years. These farming families are multigenerational and the caring for the land is a top priority. Pear farmers are in the process of transitioning more of their land over to USDA certified organic pear orchards as a way to prepare for future generations. Best of all, organic California pears can be found at Raley's new Market 5-ONE-5 in downtown Sacramento. This market is a neighborhood store focused on providing local, natural food (including organic California pears!) Just walking through the store is inspiring- I always leave with so many new recipe ideas! 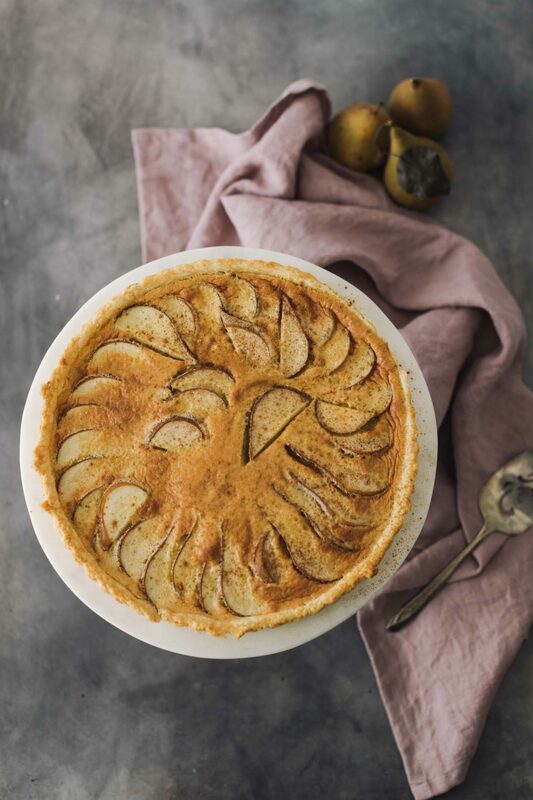 The post Pear Custard Tart with Cinnamon appeared first on Naturally Ella.